The Premier League is back and boom, up to Anfield we go. While I wish we were still playing in the F.A Cup, its not always a bad thing for the players to freshen up and get rid of some of the niggling injuries we have had recently. Spend some time trying to work out how we are going to stop Liverpool and take the 3 points. While Liverpool were also not playing in the Cup they did have to travel to Portugal and put 5 past Porto a few days earlier. Recently Liverpool have been in great form scoring goals by the bucket load and even managed to beat Man City. But they also managed to follow up that result with a 1-0 defeat to Swansea. Currently 3rd in the league with 54 points and just the Swansea defeat in their last 6 games. Not many would give us much of a chance. But I have a sneaking suspicion that they may come into this game a little overconfident. West Ham back in action at last after a long break and 12th in the league again have the chance to get themselves in the top 10 with a win tomorrow. Similar to Liverpool we have just the 1 defeat in our last 6 games but we have managed to draw a few more games than they have. Team news for Liverpool is that they are all pretty fit and giving Klopp a selection headache. Emre Can returns after suspension and Joe Gomez comes back after an injury. Great news for us is that Manuel Lanzini returns to the squad as does defender Winston Reid which is a great boost. Carroll, Obiang and of course the suspended Masuaku are all still missing. We have however managed to sell Jose Fonte a year or so after signing him and while he never really played much for us I’m glad and surprised we managed to get any kind of fee back for him. 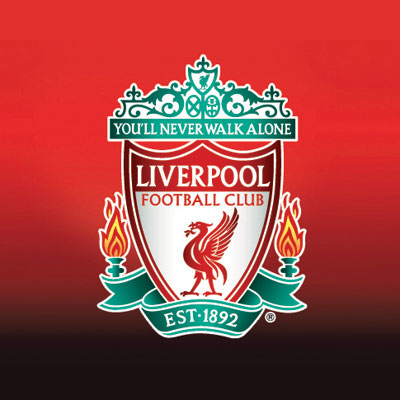 Liverpool : Karius, Lovren, Van Dijk, Robertson, Alexander-Arnold, Henderson, Oxlade-Chamberlain, Can, Salah, Firmino, Sane. West Ham united : Adrian, Zabaleta, Collins, Ogbonna, Cresswell, Evra, Kouyate, Noble, Mario, Lanzini, Arnautovic. Liverpool have a great forward line up but if we can catch them on an off day and defend well I think we have every chance to grab a point at a place where we have little success. Lanzini back is a huge boost and linking up again with Arnautovic I am sure we can give them something to think about at the other end. Evra will come in and give extra experience to a back 4 or 5 and I hope I get to love this particular game as much as he seems to. I think we will manage to get a draw and it will finish 1-1 with Mario getting our goal from a free-kick.